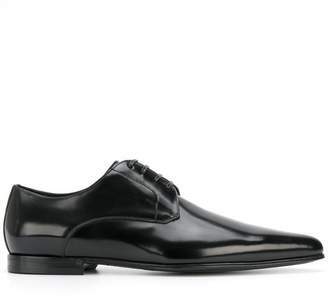 Dolce & Gabbana’s exquisite sartorial men’s footwear is crafted in Italy from the finest leathers with attention to detail rendering each design unique. 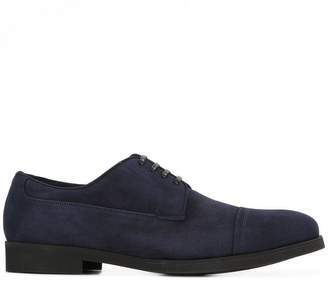 These Derby shoes from the Spring Sumer 2018 collection are versatile and timeless for any evening occasion. 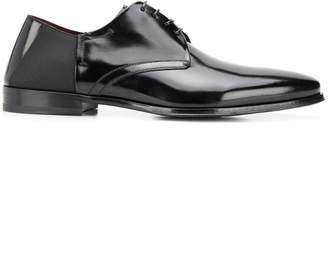 Crafted from luxury black Italian leather, these shoes feature an almond toe, a lace fastening, a branded insole, a low heel and a polished finish.